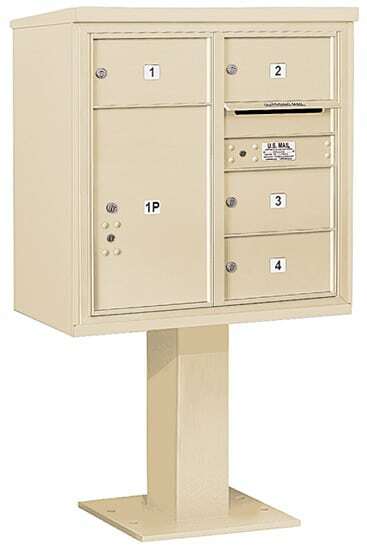 Salsbury 20 Door 4B+ horizontal style commercial mailboxes are ideal for apartments, condominiums, office buildings, military bases and residential developments. 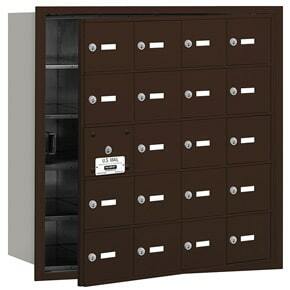 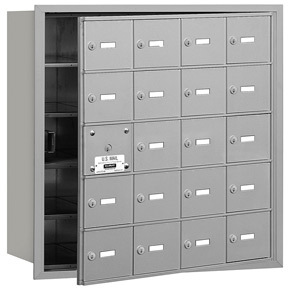 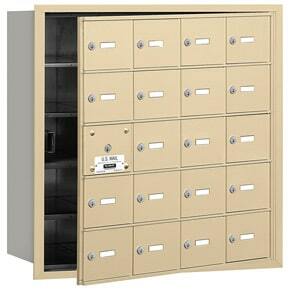 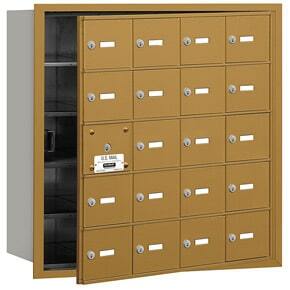 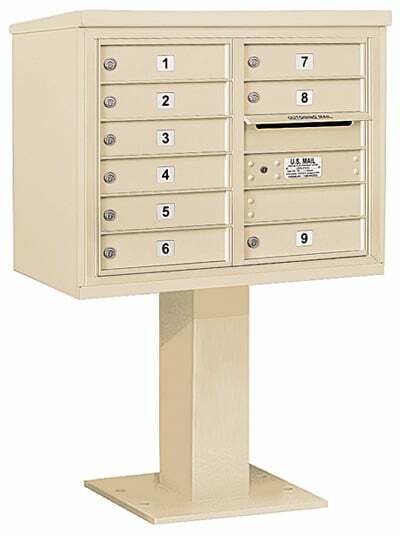 The A sized doors on this mailbox are 6-1/2″ W x 5-1/4″ H.
This horizontal commercial mailbox unit has 19 usuable doors with one mailbox opening required for a master postal or commercial lock and cannot be used for mail distribution. 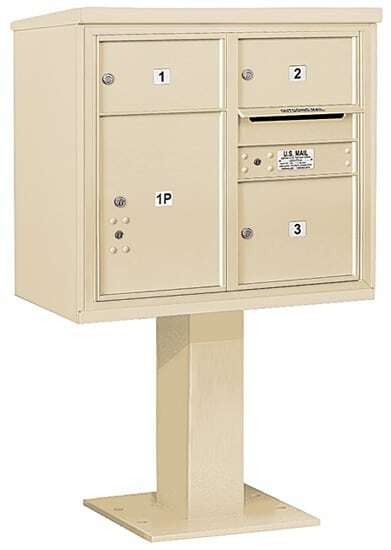 Overall with Trim 29.75" 29.25" 16.5"